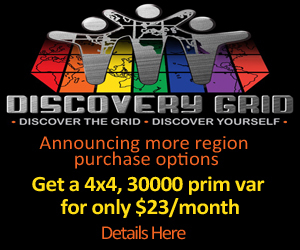 Every month, when I do the grid survey report, I mentioned that all I can report on is the stats from those grids that are reporting those numbers. Some public grids don’t report their stats, and many grids aren’t open to the public at all, but are run by companies, schools and individuals for their own private use. 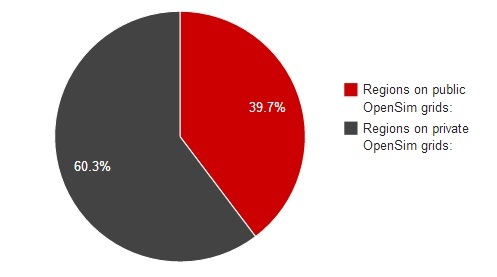 To get an estimate of the size of this “dark metaverse” I contacted hosting companies providers to find out what percentage of their customers were operating in private mode. 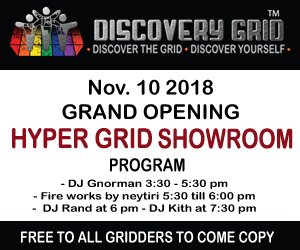 There was a wide range, from 20 percent private to 75 percent private for some commercial hosting providers, all the way up to more than 90 percent private for New World Studio grids. 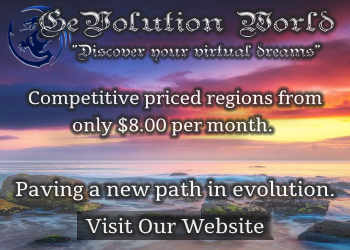 For example, hosting companies which specialize in white-label commercial grids would have more of their customers opt for the public option, as would hosting providers which provide regions on OSgrid and other free-to-connect grids. Hosting companies which specialize in corporate and educational customers would see more of them running privately. And New World Studio, which allows anyone to set up a mini-grid at home, is a great option for content creators looking for building or warehouse space, or for personal home regions, enabling hypergrid connectivity and publicizing such grids to the public would take significant extra work and would require better hardware and bandwidth than available to most home users. Combing all the sources, that comes out to 60 percent of simulations are run in private mode on average, not accessible to the public.